Railpictures.ca - Robert Farkas Photo: VIA 6765 is eastbound from Toronto Union Station on March 23, 1982. | Railpictures.ca – Canadian Railway Photography – photographie ferroviaire Canadienne. Copyright Notice: This image ©Robert Farkas all rights reserved. 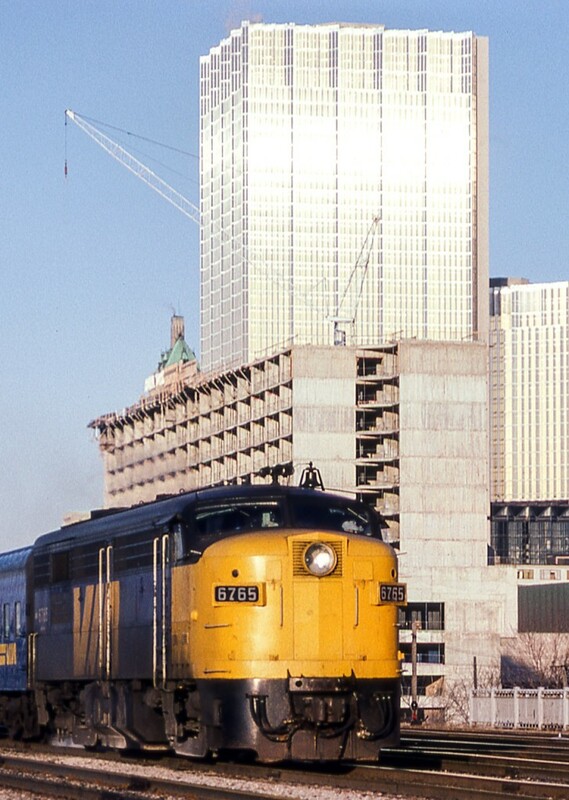 Caption: VIA 6765 is eastbound from Toronto Union Station on March 23, 1982.